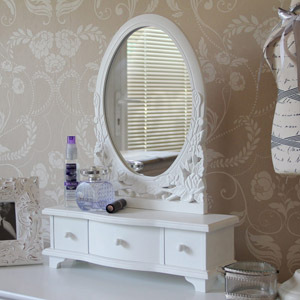 White furniture is an easy and quick way to freshen up a room and create a sense of classic elegance. 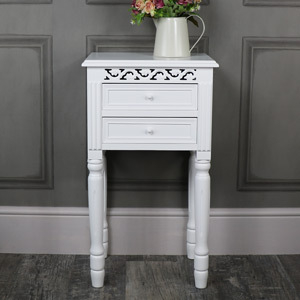 The Blanche Range is a beautiful selection of vintage style wooden furniture with a smooth white painted finish, ornate carved shabby chic style flower and detailing and rounded white wooden handles. 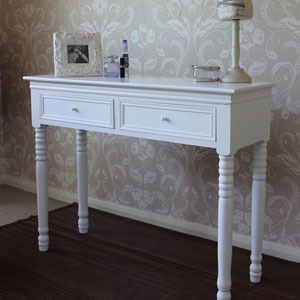 The Blanche Range contains items designed for bedroom, hallway, living room and hallway use including a full dressing table set, several side table designs, a variety of storage chests and a nest of tables. 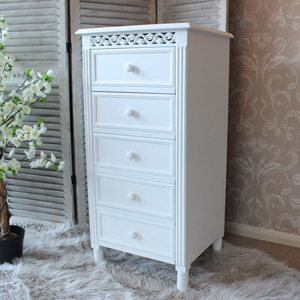 The Blanche Range is perfect for those who want to create a shabby chic vibe in their home but would prefer furniture that can blend into a variety of interior themes due to its simple design and pretty detail. 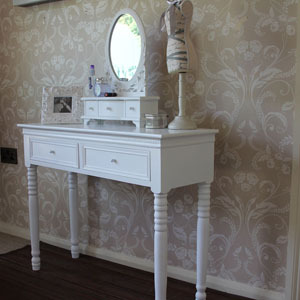 All Melody Maison furniture is crafted from quality materials and made with care.